If you call CitiClean Services to help move you into a new home or apartment, welcome home! Before you move your furniture and belongings into your new place, let CitiClean Services make it fresh and clean it for you. You deserve a clean, sterile environment that is fully prepared to accept your personal belongings. With the stress of moving and so many items on your to-do list, here's one that CitiClean Services can check off for you. We can thoroughly clean your new space before you arrive and move in. Just call (702) 803-2962 to make it happen! 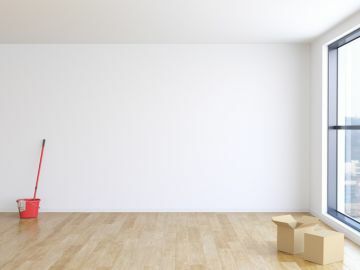 After you've cleared out your home or apartment, the real work begins! Whether you are moving from a rental property or a home you own, call CitiClean Services to clean it to your specification. If you are selling a home, you can welcome next occupants to THEIR fresh, new home. CitiClean Services can handle your move out cleaning quickly and economically. We provide a comprehensive list of move out cleaning services and can tailor your move out cleaning to your specifications. Whether a basic "broom ready" move out cleaning or a complete deep cleaning, your ideal move out cleaning is just a phone call away: (702) 803-2962. Managing your rental property cleanings for your seasonal or weekly guests is one of CitiClean Services's specialties. When you call CitiClean Services for rental property cleanings, you can rest assured that all details will be completed and not just checked off a list. We pay attention to those small details that make the difference in creating a highly satisfactory customer experience. Rest assured that your rental unit will be squeaky clean and ready to welcome your incoming guests. Call (702) 803-2962 for a free quote for your vacation rental property.